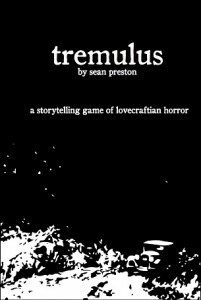 tremulus is a storytelling RPG where you and your friends get together and create a haunting story in the vein of HP Lovecraft’s works. We all do. 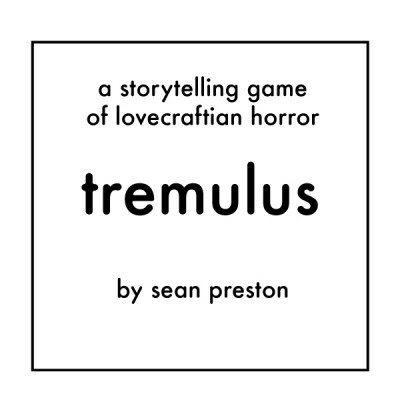 tremulus lets you and your friends make terrifying stories together. No experience necessary. And dice? You only need a pair of regular old six-sided dice, like you find in most family board games. 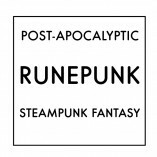 If you’ve never played any roleplaying games in the past, then this is a great game to start with. -Ron Blessing, Co-host of RoleplayDNA and Smiling Jack’s Bar & Grill (and the much missed The Game’s the Thingâ¦let’s bring this back). You’ll find it remarkably easy to get going. In fact, if you use the playset found in the book (the town of Ebon Eaves), you don’t have to do any prep whatsoever. With horror games, small groups are usually better, but too small and they don’t work at all. 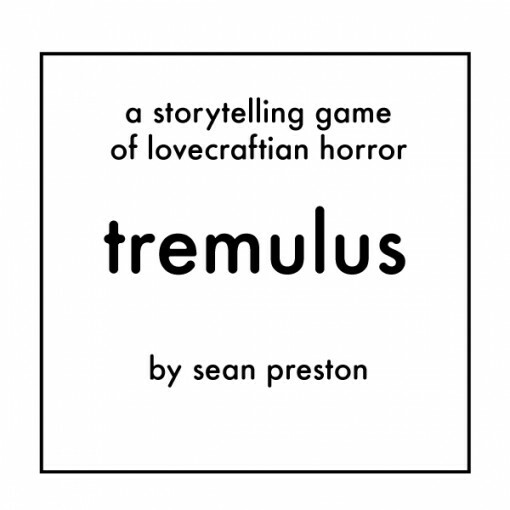 tremulus handles a broad number of players effortlessly. 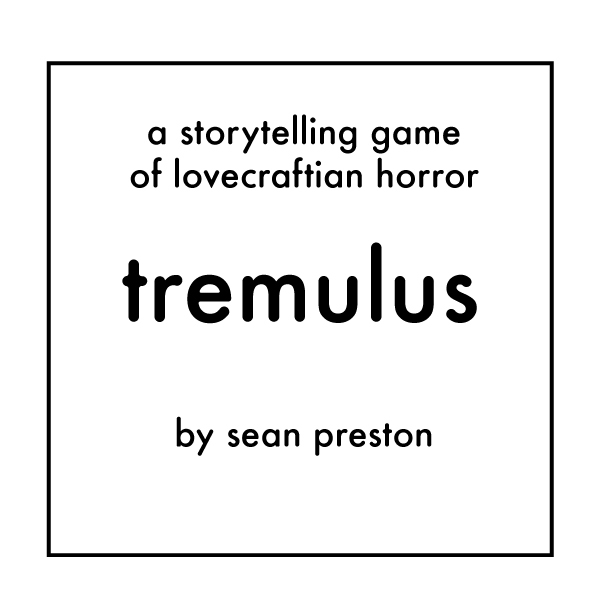 During the playtesting of the game, it was discovered that tremulus not only plays well, it plays exceedingly well with just one player. This complements weird literature perfectly, as there is often only a central, solitary protagonist. As with any game, more than five players can be a bit much, and can actually detract from the atmosphere of the story. For group play, the sweet spot seems to be three or four players. 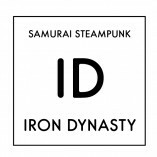 Choosing the type of character you want to play is integral to the roleplaying experience. 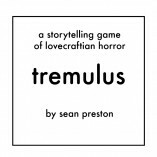 In tremulus, you have eleven classic characters to choose from in the core book. Additional playbook sets and playsets are available. Each of these choices has an attendant playbook, which is all each player needs to play the game. There is a brief background, choices of name, looks, and so on, and places to keep track of attributes. Everything you need as a player will be included on a tailored, printable playbook. There is niche protection, as no two players may use the same playbook, and when death or madness occurs, you can just get a new playbook and jump back in. There are eleven classic archetypes: The Alienist, The Antiquarian, The Author, The Devout, The Detective, The Dilettante, The Doctor, The Heir, The Journalist, The Professor, and The Salesman. More archetypes are found in the themed sets of playbooks and playsets available separately. Over 250 pages of horrific goodness! Includes the Classic Playbook Package.